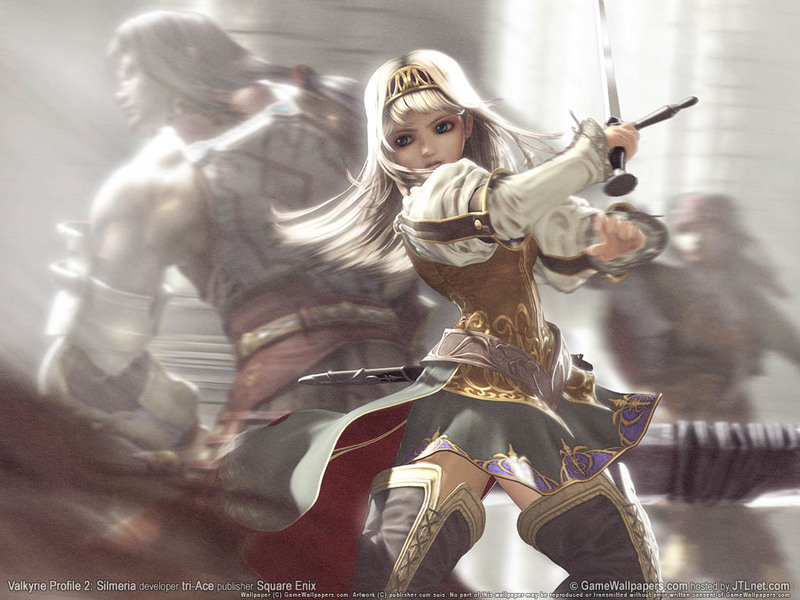 Valkyrie Profile 2: Silmeria hit stores when I lived in Korea. Square-Enix pulled off promotion after promotion advertising it, and this intrigued me–I hadn’t seen a video game advertised, really, since Nintendo wished to share exactly how “rad”; of a game it had produced. (After which, the world didn’t see a more egregious misunderstanding of rap until this.) The game looked wonderful, beautifully rendered, and epic. I hadn’t heard of the original, but I knew I needed to play this game! So I bought it and played it, only to find out that Squenix had promoted the wonder, beauty, and epic-ness as a distraction from unrelenting difficulty due to bad gameplay mechanics, bugs, poor play control, and a storyline written by manatees. 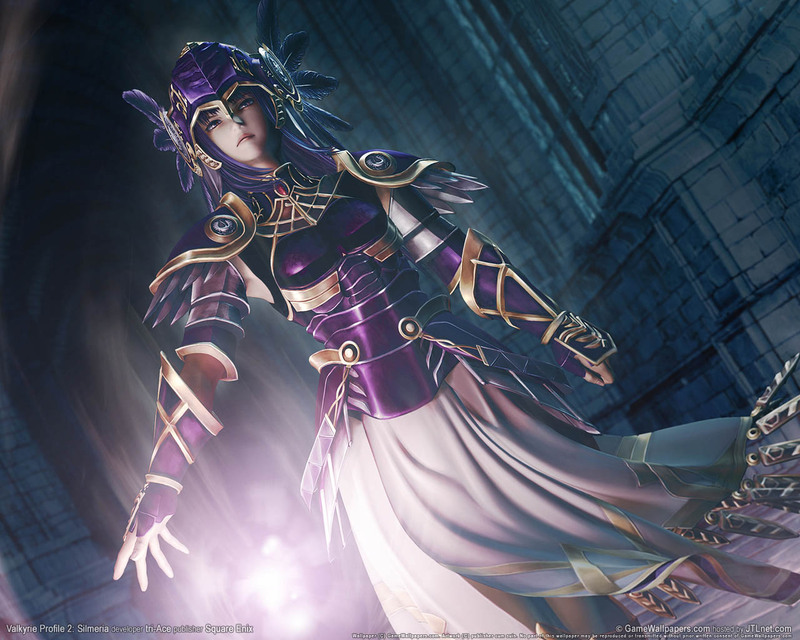 “Have you played Valkyrie Profile 2?” I asked my friend Al later that year when I met him in Taiwan. “Don’t,” he replied, several months too late to save me. However, he did recommend the first game, so I immediately set out to find a copy. And with equal expedience I placed it on permanent “wish list” status when I saw its price average at well over $100. As you can imagine, although I hadn’t liked the sequel, I knew I needed to play this game! A battle maiden limited by periods? Dear god, do they even think these things through before they translate? 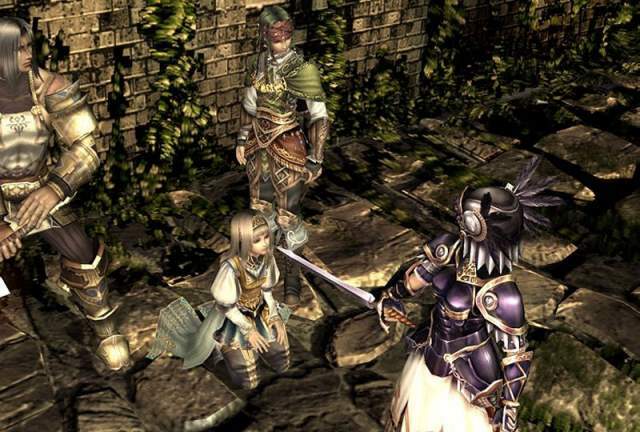 Valkyrie Profile, which Square-Enix has re-released on the PSP as Valkyrie Profile: Lenneth, tells a story based on Norse Mythology. Odin finds out about the impending battle of Ragnarok, and needs warriors. He and Freya call upon Lenneth, one of three Valkyrie sisters to go scour the corpses of Midgard for bodies he can stick on the front lines. From there, depending on whether you chose easy, normal or hard mode, you get a certain amount of time, called periods, to zoom and soar over an oddly diverse continent, looking for people on the verge of death and dungeons to crawl through to train them. One of Wagner’s less-popular operas. 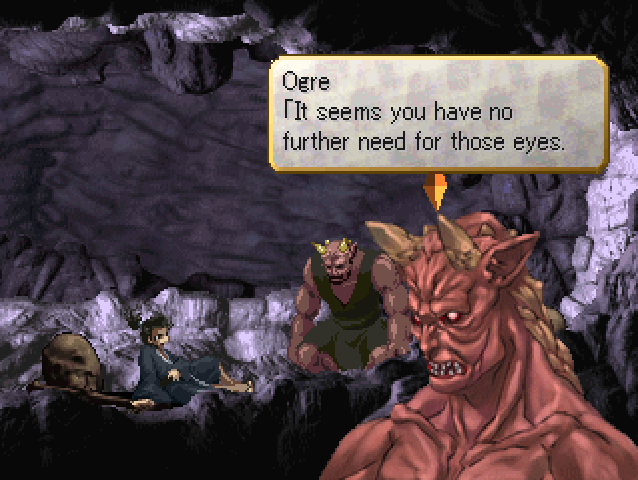 Onis don’t tend to live quite so far north. The game has a few issues I need to point out. 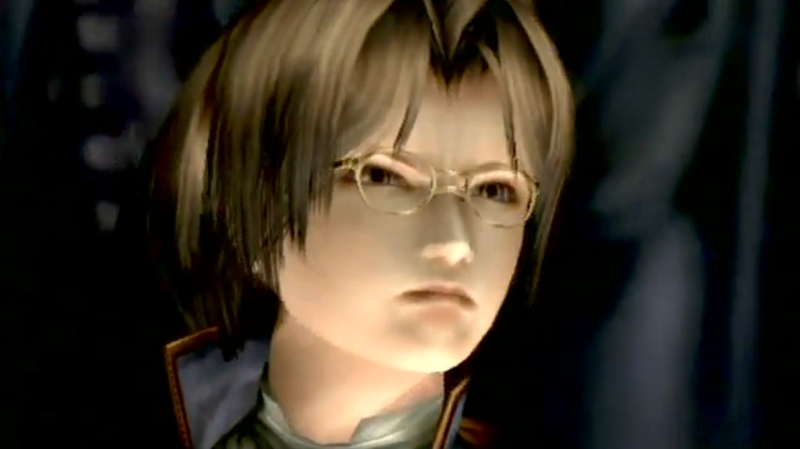 Valkyrie Profile develops a story based on Norse Mythology in the same way that God of War develops a story based on differential calculus, Thoreau’s “Walden” and the Japanese Stock Exchange. Yes, they both have something called a Valkyrie, and all the gods have the right names, but after an early scene that takes place in an old Norse . . . sushi restaurant, any semblance of viking culture stands out as coincidental, something that makes you stop and ask, “Hmm, how did that get there?” In your first battle, you face off against a harpy, as if someone handed the game writers a copy of the Prose Edda and said, “We need monsters to battle! Find some for us,” and the writers looked up from playing Pokemon long enough to see a really hard book, put off doing the work until the deadline, then struggled to remember anything at all from learning about mythology in grade school. In fact, except for a bunch of dragon-esque looking monsters, I didn’t encounter a fight with a recognizable Norse beast until literally just before the final boss. And here we have…a mermaid? The entire story comes off as disjointed, really. The search for einherjar entails using Lenneth’s Spider-Senses on the world map, then flying to an indicated town to collect a soul. Once entering the town, the player watches an extended cut scene involving the doomed character, seeing a snippet of their life and the conflict that led up to their death. Usually. They forgot to actually kill off one character before he joins your party, but hey, we can just fill in the blanks, right? Maybe he got drunk and fell off his horse or wandered to close to a rampaging myna bird. 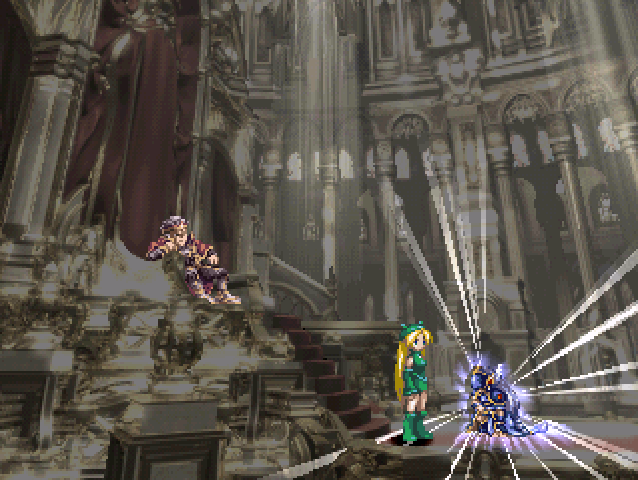 Anyway, sometimes these cut scenes take forever. Other times, we see a few disjointed clips, and then a death. 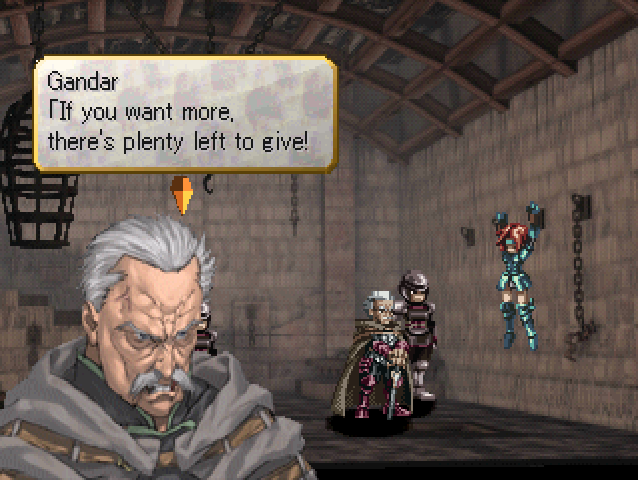 Then the einherjar joins your party and never says another word. Also, while games offer unique applications of music and put a lot of good soundtracks into the world, I feel the world map sections missed their chance to let players fly a Valkyrie around the world to this song. Did I mention you only get to move in two dimensions? But hey, the design looks great! 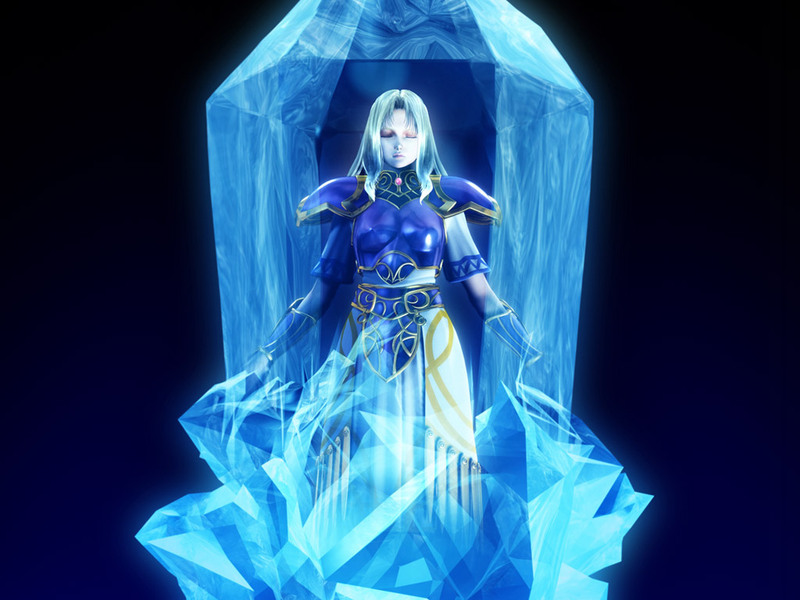 Similar to Silmeria, Valkyrie Profile: Lenneth doesn’t feel satisfied with its difficulty level until it beats you until your characters have no internal support beyond a sack of bone meal and pated organs. 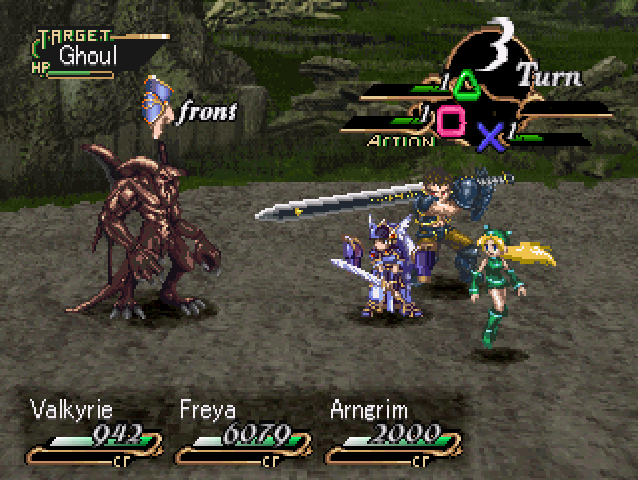 While at first I lamented the fact that Enix had seemingly duped me into grinding for yet one more game, I later realized the half-turn-based, half-real-time battle system actually innovated a non-level-focused brand of combat. The game hands out experience like a disapproving politician, trying to punish you for your dependency on fighting monsters to level-up. 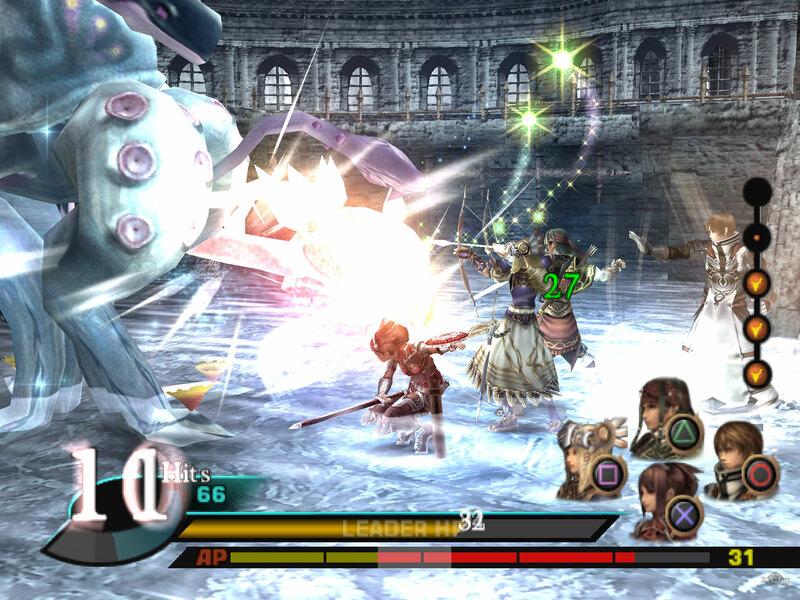 Instead, the player can win battles at a low level simply by preparing properly, using equipment and characters to their most efficient potential. They didn’t accomplish this well, offering a muddled system for buying and selling (re: creating from and converting to divine energy) items, a menu that tells you nothing about what effects certain pieces of equipment will grant, and absolutely no indication that you should consider anything except grinding, but with some work, it might be a nice alternative to formulaic and repetitive RPG combat. But believe me, it needs work. Badly. Magic, while clearly overpowered, more than compensates for that by requiring excessive wait periods between casting spells. 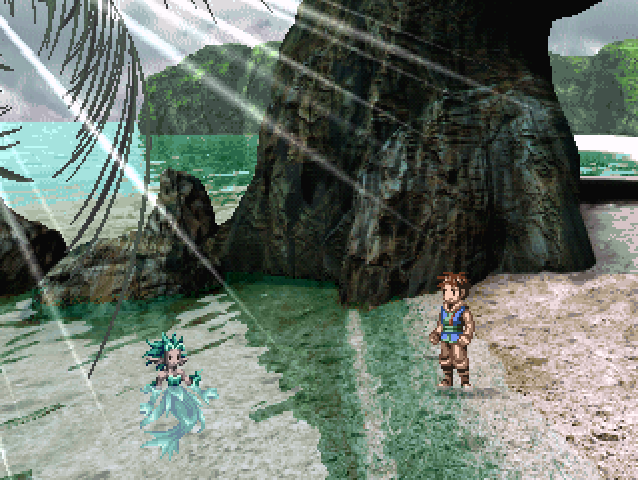 Characters charging their magic can attack for a small amount of damage if they’ve learned the ability to summon a familiar, but can’t so much as use an item to heal in the interim. I found three mages in a party can make it pretty easy to plow through enemies, but you really need this many to use magic effectively. The game found an interesting way to increase replay value. 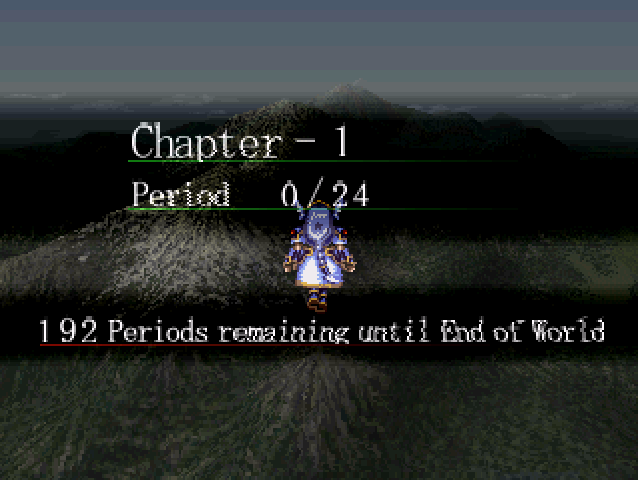 Rather than shooting for ending A, B, or C and then looking up the other two on youtube when you finish, Valkyrie Profile actually sends you along alternate story paths based on the decisions you make, leading to more or less of Lenneth’s personal story, and the game culminates in alternate final dungeons with alternate final bosses which lead to the three alternate end-game cut scenes and credits. Oddly enough, despite the shallow story, sloppy menus and item system, broken battle mechanics, disjointed story, and complete lack of direction, I actually didn’t hate playing this game. 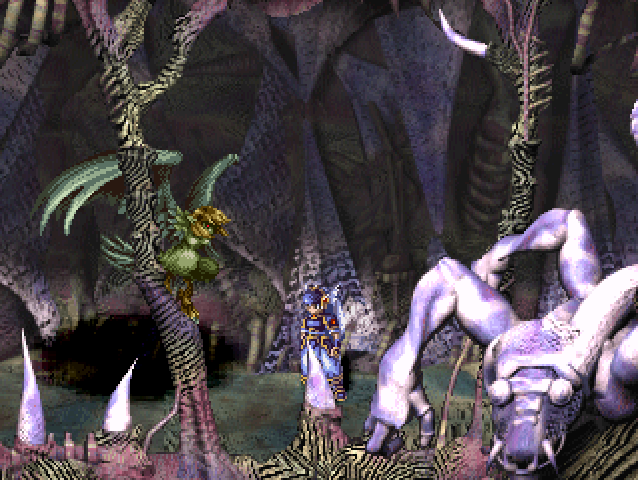 Yes, I know I forgive RPGs more easily than they deserve, but after finishing Valkyrie Profile: Lenneth, I feel tempted to play Silmeria again, and I know I didn’t enjoy that game. It surprised me, because objectively I shouldn’t have enjoyed this game. But somehow I did, and I do acknowledge the value in playing this game. I wouldn’t buy the game for $100, but it does have some value to it. Coming soon, look for articles on Perfect Dark and Resident Evil: Deadly Silence. I may actually play through Silmeria, in which case I’ll probably drop off the map for a while. GRE coming up, plus long games equals I hope you’ll remember to check back every few weeks for an update. Thanks for reading!